I’m not sure about you, but most Uber and Grab rides I take begin and end in silence – only punctuated with the perfunctory ‘Hello’s and ‘Thank you’s. But of course, I’ve had great conversations with the chattier drivers as well – some even imparting sagely life advice that I remember until now. On an Uber ride a few weeks back, I encountered another one of these friendlier drivers. This time, my driver was still a first year finance student in university. Throughout the 20-minute ride, he shared about his experience as an Uber driver, his thoughts about uni life, and also his uncertainty about what to expect after graduation. “Why not something in the finance industry? I heard it pays well,” I suggested. “Actually I chose finance because it was the most versatile. Just thinking about working in a bank or doing finance after graduation already makes me feel sian,” he sighed. It was at that point that I was reminded of when I was, too, an undergraduate filled with uncertainty. That feeling didn’t disappear when I clinched my first job, and neither when I did my second. I’m at my third job right now, and while I’m grateful that I’ve found a field that I genuinely enjoy, there are peers of mine who are still on the search for some semblance of job satisfaction. Just like finding ‘the one’, the search for the ‘perfect’ job is one that involves some effort, but a lot more luck. But that doesn’t mean that throwing in the towel and leaving everything to fate is the way to go – there are ways to steer yourself to the right path. Or at least, away from the wrong ones. One of these ways is via a mentorship. During mentorships, a mentee is paired with a ‘shifu‘, and through consultation sessions, the mentee gets to learn more about a certain industry or just working life in general. One of these mentorship programmes is Todo Todo’s Youth Career Network. We spoke to some of the mentors under this programme during its infancy stages back in 2016, and also attended one of the Career Discovery and Mentorship events last year, but we’ve not yet gotten in touch with the stars of the Youth Career Network – the mentees. Thus, we caught up with 3 of them, and found out more about their experiences. 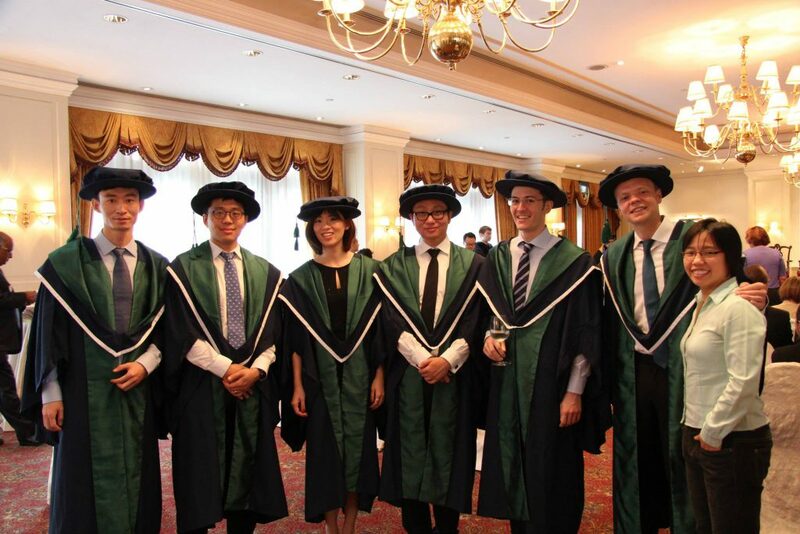 Su Xian is a graduate of SIM Global (University of Birmingham), where she studied for a Bachelor’s degree in Business Management with Communications. After graduation, she started her job search but soon encountered a big hurdle – she didn’t know where she should begin her career journey at. More than that – she didn’t even know what industry she wanted to apply to. This was also a problem her peers faced, many of them not knowing what type of career would be suitable for them. It was around then that she came across a sponsored post on Facebook talking about the mentorship programme, and decided to take a chance on it. “I didn’t know which job may be [good] for me, and the programme also provides a job profiling tool. I thought it would be an interesting experience and may help me in my job search,” she shared. During her mentorship, she was paired with Zee, a business development manager whose day job is building and sustaining a business. During the meet ups, Zee caught up with Su Xian’s job search progress, giving her feedback and sharing her personal experiences at the same time. Thanks to Zee’s guidance and Su Xian’s new attitude to her job search, Su Xian is now working as an Accounts Associate. She recommends that interested individuals who are in the same position as herself try the mentorship too. Unlike Su Xian, Kenneth hasn’t even started university! His last encounter with formal education was at Temasek Junior College, where he studied H2 Chemistry, Economics, Mathematics and Physics on top of his H1 subjects. 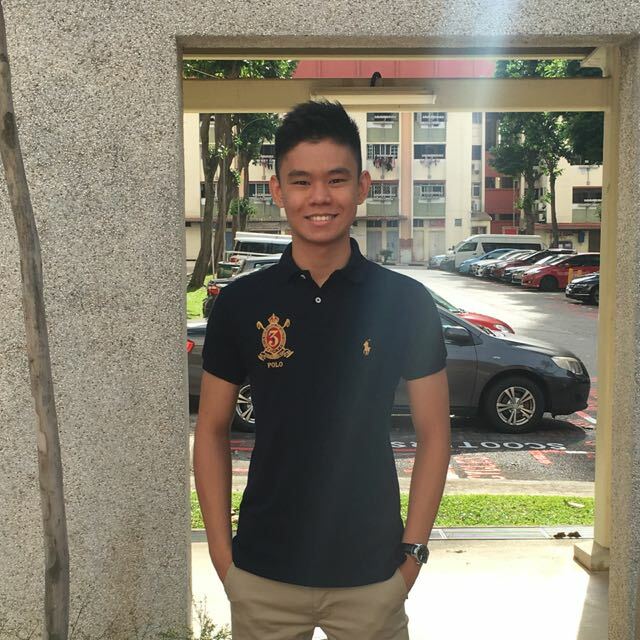 If that sounds hectic enough, Kenneth also took H3 Economics under the NUS-MOE Humanities and Social Sciences Research Programme. To top it all off, he was also an active member of his school debate club, and was involved in his school’s pinnacle leadership programme. He admits that while he was “dissatisfied with the lack of control over [his] time [and] not able to skip lectures or tutorials to deal with other priorities”, he still found the 2 years in Junior College meaningful. However, all the knowledge accumulated in school still didn’t give him a clear idea of what career to pursue in the future. All those vague ideas of my career path were all externally driven – I drew inspiration from the dreams of others. He then came across the field of management consultancy, and fell in love with how the job would require him to “go below the tip of the iceberg and confront the complexity inherent in businesses”. “Nothing is easy and one gets exposed to a myriad of industries. One has to also confront vital challenges which are difficult yet integral to businesses under time pressure,” he quipped. However, he was aware that the field is “unfathomably challenging to break into”. Luckily for him, he found a beacon of hope on a Facebook ad for the mentorship programme. Sign up for it was a no brainer for him, as he is a firm believer of mentorships being a great help for the passionate-yet-clueless young person. 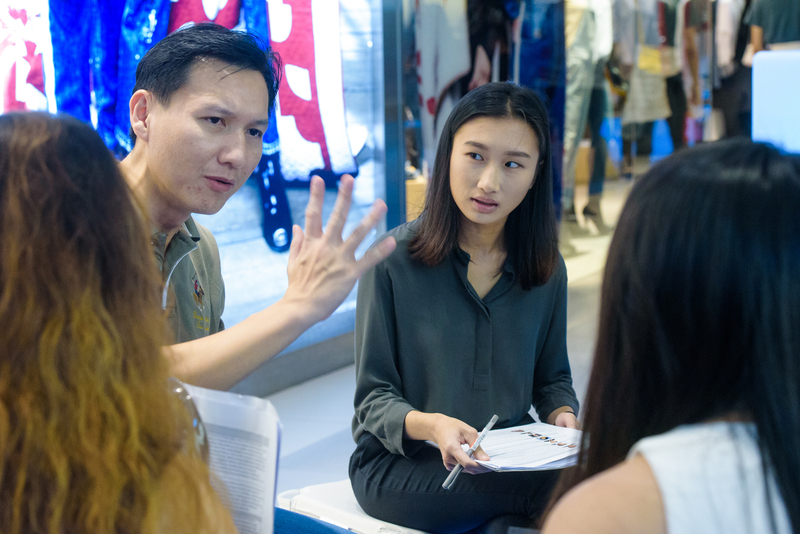 During his stint, Kenneth worked with 2 mentors – Teefenson Chua (Vice President of the Strategy Execution Group within the Global Markets & Corporate Investment Banking businesses of the Deutsche Bank) and Lee Keng Leong (Deputy Director of FairPrice Online). Just like Su Xian, the sessions with his mentors were both casual yet productive, meeting up to discuss about short-term goals and steps to take towards his career aspirations. It was also through his sessions that he learnt that he could be a strategist in any industry or position, and how work life can be as diverse as he makes it to be. I could not be more thankful for this meaningful discovery. Sharing that his mentorship has been “nothing short of meaningful”, he highly recommends that millennials like himself try it out too. Finally, Lynn’s story is one where we see the mentorship programme leading to a radical change in life direction. 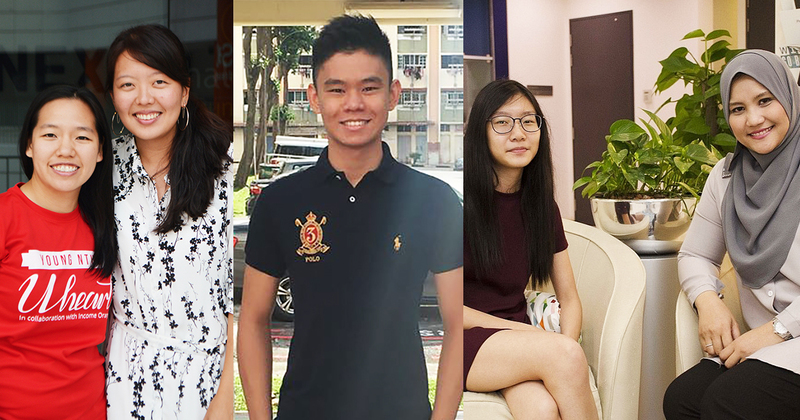 Compared to Su Xian and Kenneth, Lynn doesn’t just hold a Bachelor’s degree with honours in Psychology from NUS – she also holds a Masters degree from Insead. On her choice of Bachelor’s degree, she reveals that “understanding the human condition” has always been her interest, and she chose her passion over the “economic value of the degree in the job market”. Since it is often said that people end up in jobs that are different from what they studied, I reckoned that I should spend the 4 years of university life studying something that truly interests me. 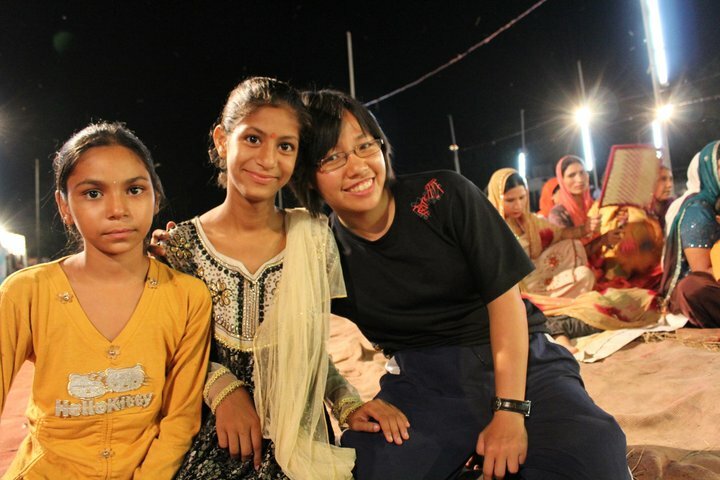 During her undergraduate days, she wasn’t just organising study groups to help fellow coursemates – she was also active in extra-curricular activities and even went overseas for exchange programmes, eventually backpacking to India alone to volunteer as the Centre Manager for an India NGO. As for her Masters degree, Lynn explains that her intention was actually to go for a PhD course as she wanted to pursue an academic track after graduating from NUS. However, she soon realised that it wasn’t the career path she wanted, and graduated with a Masters degree instead. “I burnt out,” she admitted. At the crux of it, I felt that getting caught up with the “publish or perish” culture was in no way bringing me closer to the goal of effecting positive societal change. 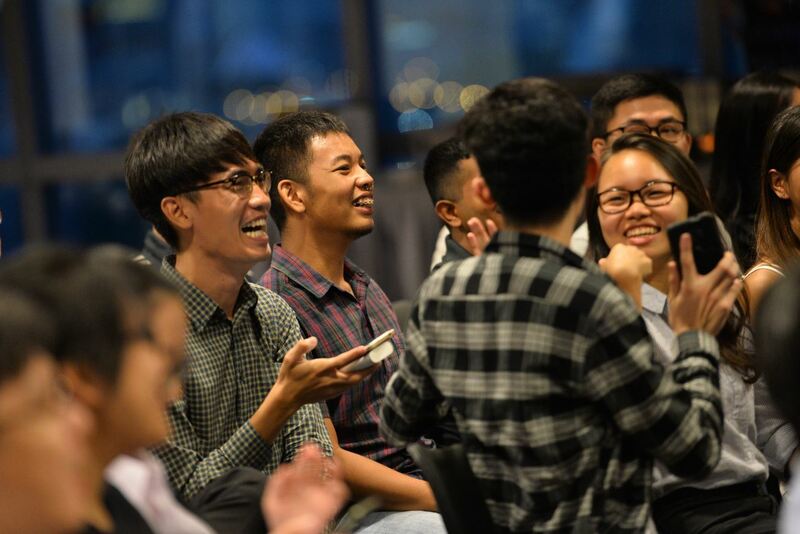 It was then that she chanced upon Young NTUC volunteers, and after joining them, “made friends who made [her] learn to enjoy life to the fullest again”. 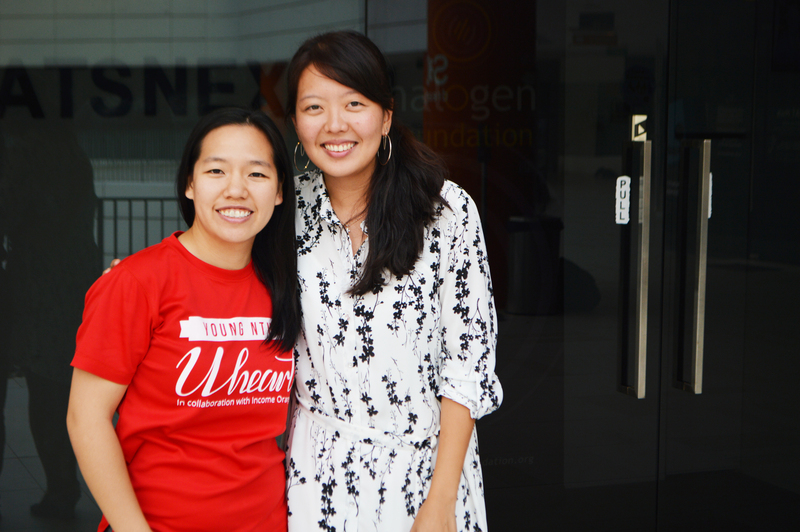 For her, joining the group was the gift that kept giving, because it was also through Young NTUC emailers that she found out about the mentorship programme. The prospect of being able to get in touch with someone who could share their first-hand experiences spurred her on to sign up. It’s always good to have someone to bounce of ideas and seek advice about. For example personal career choices, whether one’s skill sets are still relevant in the market, how one should upgrade to remain competitive with the times, and so on. She, like Kenneth, had 2 mentors – Ivy Tse, CEO of Halogen Foundation, and Brian Liu, a Management Consultant from Ernst & Young Advisory. Meetings were conducted over casual lunches or dinners, and she even got to visit their work environments to better understand the dynamics of the industry. I got a reality check, and touched base with what is required to perform well in each industry. I really needed it since I have been in the academic field for quite some time. It has been a year since she ended her mentorship, but she still keeps in contact with her mentors and frequently updated them on her progress. With her mentors’ encouragement, Lynn also took a big leap of faith – taking a self-imposed ‘gap year’ to give herself time to try pursuing her long life passion in culture heritage as a possible career track. And it has definitely worked out for her. In the past year, she has not just directed and produced a documentary, she has even won the Inaugural Outstanding Clan Youth Award given by Singapore Federation of Chinese Clan Associations, was a top 5 nominee for a microfilm, and was the project director of the Ho Yeah Festival, which was graced by Minister Josephine Teo and Senior Minister of State Chee Hong Tat. “This is just the beginning,” she beamed. It’s not surprise that she, too, recommends the mentorship programme. “The mentors are experts in their fields, and it’s a true blessing to have their advice and sharing about the industry know-hows. Nuggets of wisdom can save you from taking the longer route or even the wrong path,” she shared. I’m quite sure that many will be able to relate to the uncertainties about the job market that our interviewees have. With headlines portraying a bleak picture of employment, and new industries and skills popping up (and industries fading out as well) with technological advancements, it feels like one can never do enough preparation. However, there’s a way that you can get some tips on how to get started. This is where Todo Todo’s Youth Career Network and its mentorship programme comes in. 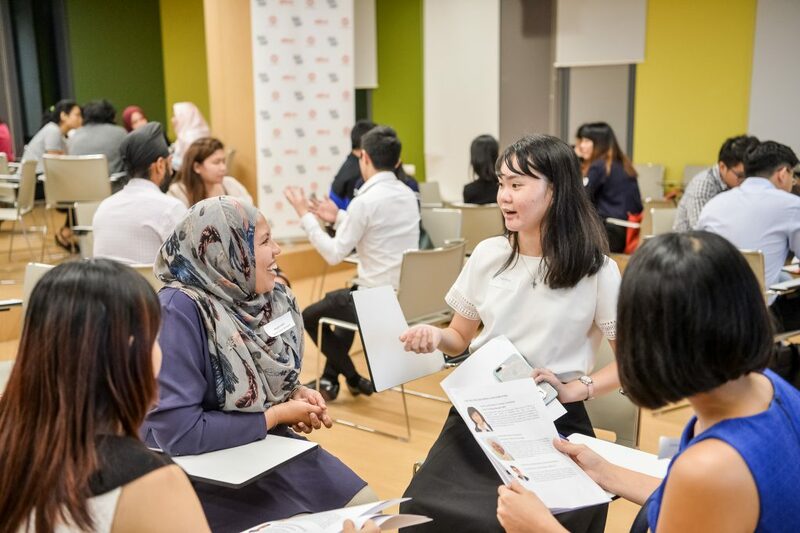 Happening on 15 May at Bukit Batok Community Centre from 7pm to 9:30pm, attendees of the Todo Todo Career Mentorship event will be able to speak to volunteer career guides to get a preview of the industry and tips on how to prepare for their careers. More importantly, attendees can also opt to be matched to a career guide for a 4-month mentorship journey! 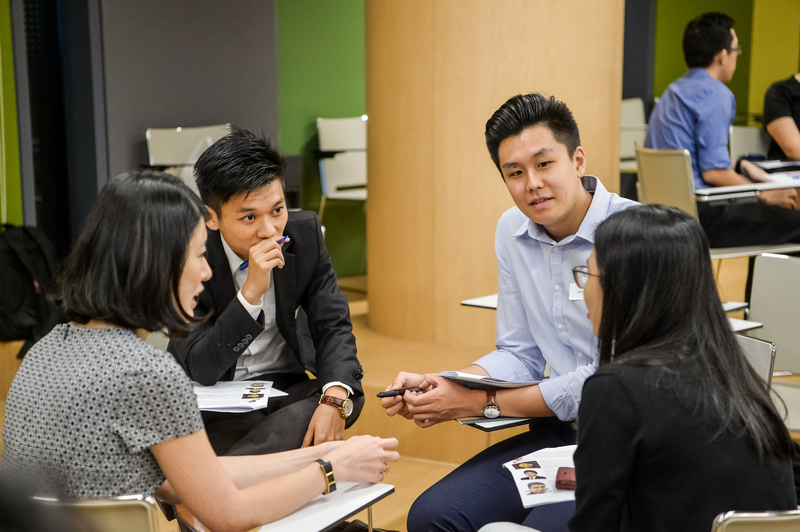 If you’re more into workshops, the Todo Todo Career Discovery Programme will be happening the next week on 22 May, from 7pm to 9:30pm at the NTUC Centre. Attendees get to play a career board game to learn more about themselves, get a taste of what drives them and go through a simulation to find out how they would navigate potential career decisions and scenarios. 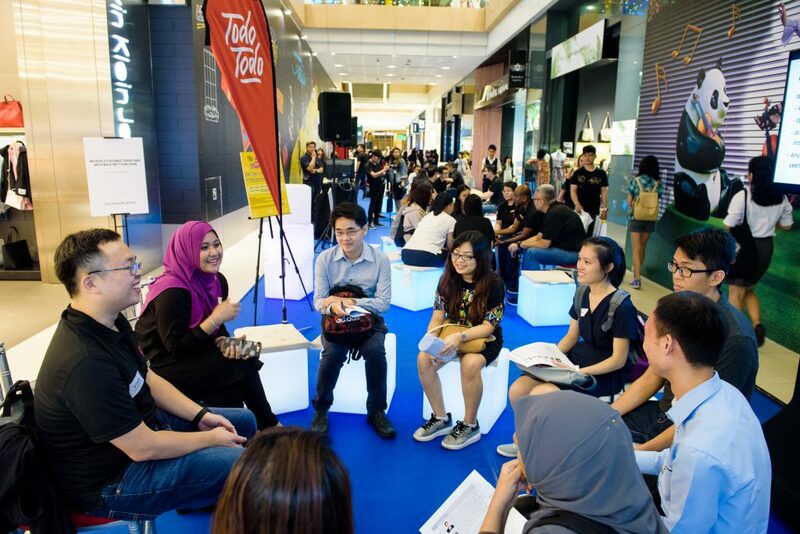 If neither tickle your fancy, the Todo Todo events page also offers a variety of workshops and events that touch on various aspects of work and also various industries. If you’re still hesitant, why not check out their articles page, where you can read up more about success stories and catch up on work-related tips as well. So what are you waiting for? Take some time out and attend these events soon! Who knows, you might just find the ‘shifu‘ that will lead you to the right path. This article was written in collaboration with Todo Todo. Todo Todo is a collaboration between the National Trades Union Congress (NTUC) and the People’s Association (PA). It aims to create a network of the Labour Movement, businesses, grassroots and industry professionals for youth to better navigate their career journey.